GOP Congressional investigators are furious after former FBI attorney Lisa Page issued a statement through her attorney notifying a jount House panel that she would ignore a subpoena to appear on Wednesday because she wasn't allowed access to documents by the FBI. Page's attorney, Amy Jeffress, claimed that "Lisa and I went to the FBI today to review the materials that were previously produced to Congress related to her propsed interview, but after waiting for more than three hours, we were not provided with any documents." "The Committees have not honored this request," Jeffress said. "As a result, Lisa is not going to appear for an interview at this time." On Wednesday morning, however, Freedom Caucus chairman Mark Meadows tweeeted that Page and her attorneys did review the requested documents at the FBI on Tuesday, and that "Her failure to appear before Congress this morning had little to do with 'preparation'--and everything to do with avoiding accountability." Contrary to what her attorneys are telling the media, we just learned Lisa Page actually DID review documents at the FBI yesterday. Her failure to appear before Congress this morning had little to do with 'preparation'--and everything to do with avoiding accountability. 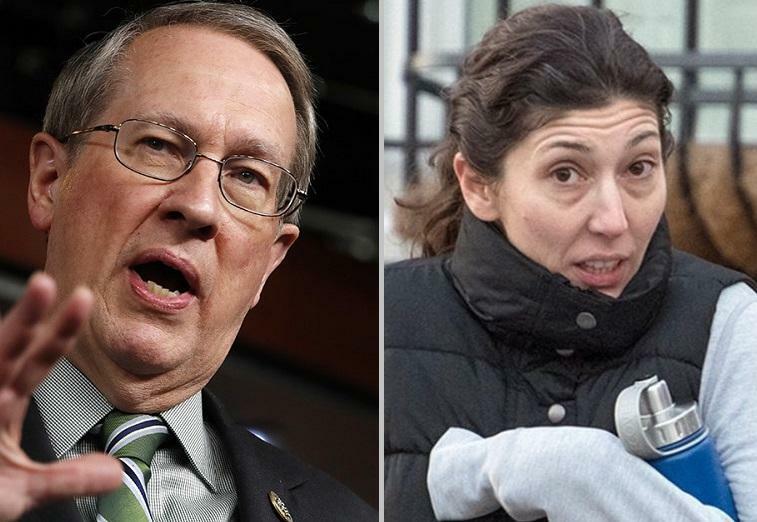 In response to Page ignoring the subpoena, House Judiciary Committee Chairman Bob Goodlatte issued a statement Tuesday night suggesting that "Page has something to hide," before pledging to use all available resources to obtain her testimony. “It appears that Lisa Page has something to hide. She plans to blatantly defy a congressional subpoena by refusing to appear for her deposition. She has known for months that the House Judiciary Committee has sought her testimony as part of our joint investigation with the Oversight Committee into decisions made by the Justice Department in 2016, and she has no excuse for her failure to appear. Lisa Page is a key witness, and it is critical that she come before our committees to answer questions as part of our investigation. Other GOP members on the Judiciary Committee issued harsh rebukes to page over Twitter, with Jim Jordan of Ohio writing "One set of rules for regular Americans, a different set for the Swamp!" and Ron DeSantis off Florida calling her "Pathetic." Anti-Trump FBI lawyer Lisa Page is defying a congressional subpoena because she doesn’t want to answer questions or be held accountable. Pathetic. Oversight committee member Mark Meadows (R-NC) said that the statement from Page's attorney could have better been summed up as "We're choosing to ignore a Congressional subpoena." This statement from Lisa Page's attorneys could've been better summed up in one short sentence: "We're choosing to ignore a Congressional subpoena"
Jeffress hit back - claiming that the committee's "Bullying tactics" are unnecessary, adding that "through her actions and words, Lisa has made it abundantly clear that she will cooperate with this investigation." Then again perhaps Page's refusal to testify is more about not giving Congress ammunition for her former "lovebird" Peter Strzok's scheduled testimony on Thursday. As Politico noted on Tuesday, By obtaining Page's testimony in a closed-door deposition on Wednesday, committee Republicans would be armed with material to grill Strzok the next day. On Tuesday morning, President Trump suggested over Twitter that Page and Strzok were "getting cold feet on testifying about the Rigged Witch Hunt headed by 13 Angry Democrats," in reference to the 13 Democrats on the Special Counsel. Meanwhile, Jeffress said she received a message from the Department of Justice on Tuesday night around 11 p.m. granting Page's request to review documents related to her testimony.